The Waynesboro Police Department found a wanted Waynesboro man yesterday afternoon hiding under a bed in a home in the 400 block of North Winchester Avenue. 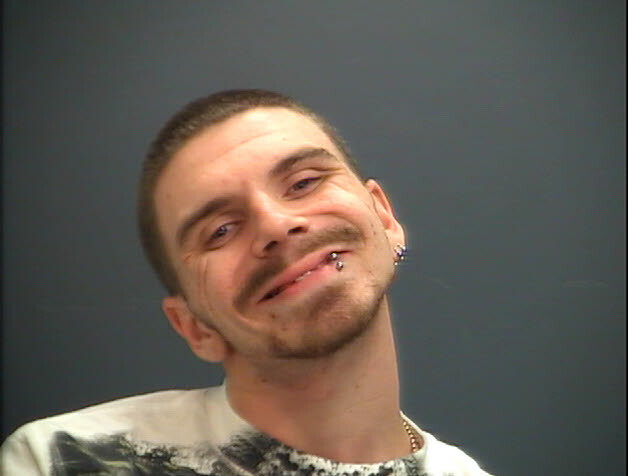 Dustin Lee Wilfong, 23 years old, was wanted on a shoplifting charge from Waynesboro and several probation violations from Shenandoah County when officers found him. It was about 12:30 p.m. Friday when officers went to the residence looking to arrest Wilfong. Homeowners gave the officers permission to search the upstairs bedroom where they last saw him. An officer saw Wilfong’s kneecap protruding from under the bed. Officers ordered Wilfong to come out from under the bed with his hands visible. He emerged with his lit cigarette still in his hand. Although somewhat unruly, Wilfong was taken into custody without incident. He is being held at Middle River Regional Jail.